Would you know if you had a herniated disk in your back? In some cases, yes, you mght. But in many, many cases the answer is, surprisingly, no. The Mayo Clinic says that you can have a herniated disk without even knowing it. : “…herniated disks sometimes show up on spinal images of people who have no symptoms of a disk problem.” Since symptoms might be mild or mistaken for many other conditions, or even non-existent, it can be easy to leave your herniated disk untreated. This can lead to permanent nerve damage. Please don’t do that—treat a herniated disk with chiropractic care instead. Your spine is made up of vertebrae (the bones) with cushions in-between that act as protection from daily activities as well less frequent exertion. Your spine grows increasingly vulnerable with age, genetics playing a role in severity of disk degeneration. But those who are overweight, work demanding jobs, or put stress on their spine due to physically demanding recreation or lifestyle, can be susceptible as well. Commonly referred to as a slipped disk, most herniated disks are located in the lower back but they can occur in your neck as well. Preventative chiropractic adjustments is the ideal scenario to keep your back from ever suffering from a herniated disk. But there are also some warning signs that might trigger a phone call to us. If you experience any of the above symptoms,or just feel general pain or diskomfort you can’t quite place, it’s a good idea to visit with your local chiropractor. A skilled chiropractor can assess your condition and determine if you are indeed suffering from a herniated disk. Please—choose a chiropractor who is knowledgable, well trained, very experienced, and has a good reputation! Their expertise will determine accuracy in diagnostics as well as success in treatments prescribed. Dr Jess at Café of Life Chiropractic in Longmont cares about the overall health and wellness of her clients. She will do a complete and thorough evaluation and likely recommend a varied approach to healing. Spinal adjustments, lifestyle changes, and an exercise program focusing on stretching and strengthening will likely be the basics of any herniated disk diagnosis. Her primary goal is not to just relieve the pain (which will be a wonderful side effect of treatment!) but to bring the body back to its healthiest self. Choose a natural and complete approach to herniated disk treatment with chiropractic care. The clinical term for it is “cognitive impairment” or “clouding of consciousness”. It’s used by conventional medical practitioners to denote “an abnormality in the regulation of the overall level of consciousness that is mild…”. We just know it as Brain Fog and those who suffer from it don’t look at it as mild at all! Longmont’s leading chiropractor, Dr Thompson at Café of Life Chiropractic, can help treat your brain fog so that you can function at your very best. Those who suffer from brain fog describe it as poor concentration, forgetfulness, disconnectedness, mental fatigue or confusion, slow thinking, spacey, “not firing on all cylinders”, brain dead, and more. It interferes with our day (or with our life!) when there is a cloud over our mind and we simply cannot think clearly. There is no specific test to determine a brain fog diagnosis as it’s based on each individual’s subjective experiences and is often a symptom associated with many conditions. Brain fog is so common it can often be discounted or overlooked altogether yet it brings patients in to both chiropractic offices as well as conventional medical offices every day. It might be “common”, but it is not normal. Your brain can and should function clearly! A good chiropractor knows that a patient complaining of brain fog will need to have a full health assessment taken and a multifaceted approach to healing applied. Health and lifestyle changes are likely going to accompany the chiropractic adjustments. The brain, brain stem, and spinal cord must be aligned and in good condition. Your spinal cord, nerves and peripheral nervous system is how your body communicates with your brain. When the vertebra moves and gets out of alignment it causes stretching and distorting of the spinal cord. All those nerves do not function well, if at all, with that kind of disruption which leads to brain fog. This diminished spinal function shows the importance of chiropractic adjustments. Spinal adjustments, upper cervical spinal adjustments in particular, work very well at treating cases of brain fog. In fact, our chiropractic patients regularly come in for adjustments because the onset of brain fog now gives them a “heads up” that the spine is out of alignment before any other symptom appears. If you experience brain fog of any severity, don’t ignore it or assume it’s just something you have to live with. Let our expert chiropractor work to remove the fog from your brain. Dr Thompson is a Longmont family chiropractor you can trust. Dizziness, or vertigo, is a very common complaint. It can occur in patients of all ages, even children, but it does become more common as we age. You may not think of your chiropractor as an option in treating dizziness but chiropractic care is incredibly effective at treating most cases of vertigo. Many times, we are not even sure what to call some of the symptoms we are experiencing. Dizziness is described using many different terms: off balance, spinning, floating or swimming, woozy, tilting, whirling, or even lightheaded. Severe vertigo can also bring on nausea or even cause you to vomit. However you experience vertigo it can be, at the least frustrating and inconvenient, and at the most entirely debilitating. Occasional dizziness happens. But if you experience any of the above symptoms, or prolonged or recurring bouts of vertigo, call a chiropractor today for an evaluation. Why use chiropractors for dizziness/vertigo? The majority vertigo cases are common and respond very well to chiropractic treatment. 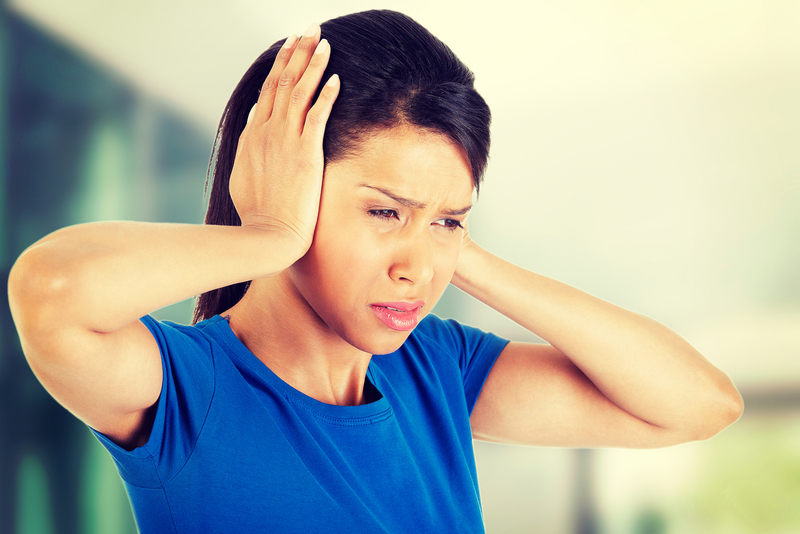 A qualified chiropractic practitioner will evaluate several factors when determining the cause of your vertigo. Establishing a brief history, including any recent injury or trauma as well as lifestyle, and a physical exam will be performed. Dizziness is so individualized that having a skilled chiropractor like Dr. Thompson assessing your condition is comforting. Once a complete evaluation has taken place, treatment takes several forms. Certain repositioning maneuvers are typically performed. Chiropractic treatment for dizziness is a fairly simple process but it does require precise moves and plenty of training and experience. Dr. Jessica Thompson at Café of Life Chiropractic in Longmont is well versed in treating vertigo in patients off all ages. But of course we don’t stop at just spinal, head, and neck manipulation. Chiropractors are whole-healing practitioners. A good chiropractor will discuss diet, daily habits, medications, etc to determine a path to overall better health along with the cessation of the diziness. A good chiropractor will likely suggest relaxation and/or meditation, breathing techniques, and send you home with rehabilitation exercises to aid in your recovery. We’re not there to temporarily cover your symptom. We aim for correction of any underlying conditions that bring about the symptom—in this case, dizziness. An accurate diagnosis and combined chiropractic and lifestyle treatment are critical. Not all vertigo symptoms are suited for chiropractic care (and only a caring, and experienced chiropractor will know the difference) so let Dr. Thompson review your situation—call Café of Life Chiropractic if you’re experiencing dizziness of any length or severity today. Are you having trouble sleeping at night? Are YOU looking for a better night’s sleep? If your answer was yes, you are certainly not alone. Statistics show that waking up each morning refreshed and ready to take on your day is a dream for a very large number of people! Not to worry because Café of Life Chiropractic in Longmont can help. Insomnia, along with other sleep disorders, can be treated with chiropractic care. According to the National Sleep Foundation, insomnia is defined as “difficulty falling asleep or staying asleep, even when a person has the chance to do so.” Adequate sleep is critical to your health and overall wellness. Sleep is your body’s time to repair, renew and prepare for the new day. Insomnia is such a complicated condition that can be transient (short lived) or chronic. It can also be caused by numerous factors both physical and mental. Neurological conditions can be a sleep disrupter– Alzheimer’s, Parkinson’s disease, mental health disorders like depression and anxiety. Other possible causes include allergies, chronic pain, thyroid problems, gastrointestinal issues, substances like stimulants or prescription medications, and many more. 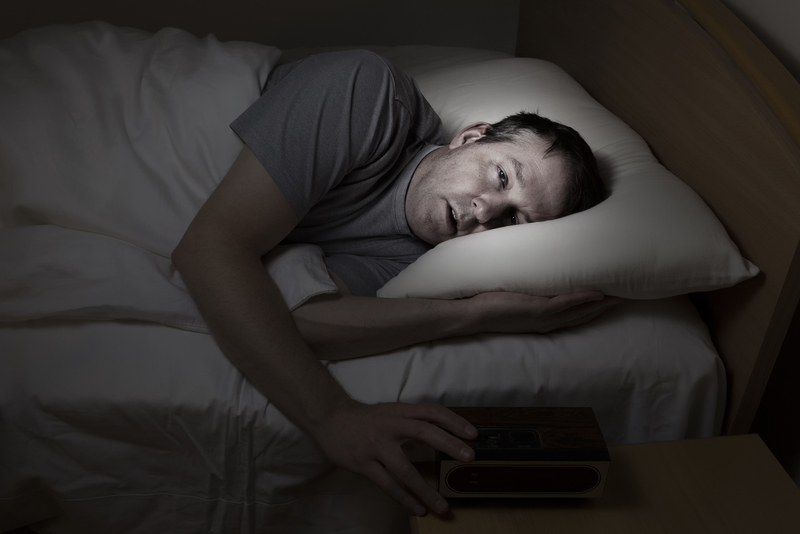 Insomnia can even be self-induced by a busy, stressful daily routine. Sleep deprivation has been linked to obesity and can increase your susceptibility to all kinds of diseases. It weakens your immune system which opens the door to communicable illnesses like the cold or flu. Any good chiropractor focuses on the body’s overall health. We understand that with so many various reasons for insomnia and types of insomnia, it’s important to view the mind and body as a whole and treat it accordingly. Extra bonus: chiropractic care for insomnia can help you steer clear of risky prescription drugs and their side effects. When the central nervous system is healthy and functioning properly all the systems of the body function properly as well. Interferences (aka subluxations) to your nervous system can cause a myriad of health concerns—including insomnia. Those subluxations really disrupt your body’s essential ability to heal itself. There is hope for relieving your insomnia. Become one of the many happy chiropractic clients that have reported restful and restorative sleep after their adjustments. Let our well trained Longmont chiropractor adjust your spine with her careful and skilled techniques to get you a good night’s sleep. Can a chiropractor help with foot pain? Don’t accept foot pain as a given. Don’t just learn to live with it! Foot pain can be treated with chiropractic care. In fact, a chiropractic adjustment can be just the thing to bring relief for a myriad of common foot problems. Many times pain that manifests in the foot can be caused by poor alignment, whether there is accompanying back or leg pain or not. We have had many clients come to us with foot pain that have been treating with regular cortisone shots, surgery, traditional physical therapy, or a combination of these…with no long term symptom resolution. These options can be a nice band-aid but are not any way to live your life. Unless you address the underlying causes for foot pain, it will remain. Getting to the root cause of foot pain can, finally, get you back on your feet again! Compression of the spine can happen due to trauma or injury but it is also a natural part of the aging process. If the nerve roots connected to the spinal cord, or the spinal cord itself, are compressed the brain perceives impulses that manifest itself in burning sensations, pins-and needles, numbness, or even muscle weakness. Don’t let anyone tell you that foot pain is normal and just “deal with it”. Dr. Jessica Thompson at Café of Life Chiropractic in Longmont is experienced in treating common foot pain symptoms related to the spine. Treating her clients as an entire being helps to correctly and accurately diagnose, rather than fixating on one body part as a separate entity from the whole. Using state of the art equipment and a broad experience base, Dr. Jess has the gentle chiropractic techniques to treat the cause of many types of foot pain. Our feet provide a vital function. If your feet are causing you pain, it can be at minimum frustrating but in some cases downright life altering. Why not find out if your foot pain could be a chiropractic issue that can be resolved with some simple spinal adjustments? Come into Café of Life Chiropractic for a foot pain assessment today. Chiropractic care can bring your body into balance, allowing it to heal and repair damage. We want you to live a vibrant life free from pain and discomfort through whole body health. 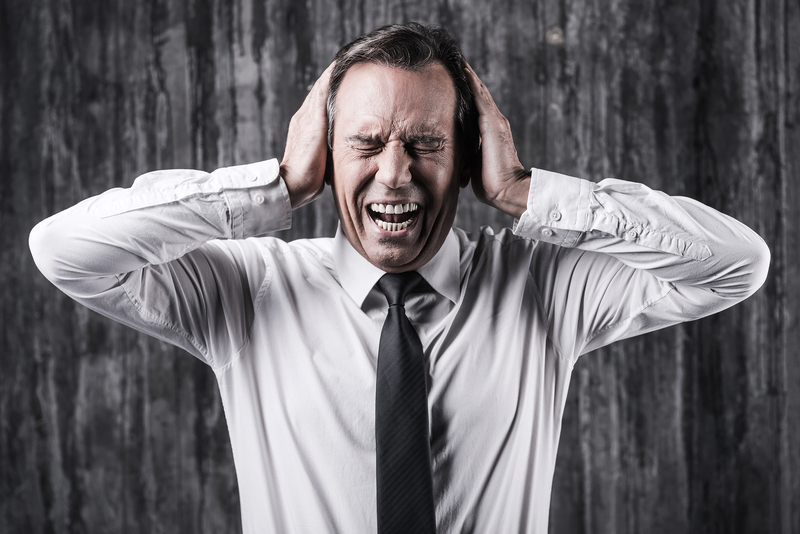 Millions of headache sufferers are living with pain unnecessarily. Everyone experiences headaches for one reason or another so you might even consider them normal. They are not. And you don’t have to live with chronic headaches. Typically a headache means you’re reaching for over-the-counter relief from ibuprofen, acetaminophen or aspirin. Did you know that you can treat headaches with chiropractic care? There is a relationship between the spine and many types of headaches. If you suffer from chronic headaches, make sure your spine is healthy. In fact, headaches are a very common reason to visit a chiropractor. There are many types of headaches and varying causes for them. A good chiropractor will be able to pinpoint what kind of headaches you may be suffering from and determine the best course of action to treat them. The majority of headaches fall under the categories of tension headaches, cluster headaches, migraines, and sinus headaches. Knowing how each type of headache presents itself and the root causes for them can make all the difference. Can chiropractic adjustments really help with your headaches? Chiropractic care is a safe and gentle approach that has helped many headache sufferers. Stop living with the pain! Let your body restore and heal itself by removing nerve and spinal stress. Eliminating spinal subluxations and creating alignment removes the biggest risk factor in headaches, decreasing frequency, length, and intensity of chronic headaches. Chiropractors are the only care providers that actually deal with the underlying causes of headaches and provides much needed, natural relief. A chiropractor’s job is to restore proper body-brain function through locating and correcting any nerve interference through spine misalignment. By restoring the proper body-brain function will allow your body to do what it does best—heal itself. An actual long-term solution rather than a temporary band-aid. No matter what kind of headache you may suffer from Dr Jessica Thompson can provide effective chiropractic care to you and your family and friends. She uses gentle and safe adjustments to the spine to correct any nerve interference. Our desire at Café of Life Chiropractic in Longmont is to help our clients live the best life—free of pain and full of peace and happiness. Instead of stocking up on your favorite pill to relieve your headaches, try scheduling an appointment with an experienced and capable chiropractor and invest in your long-term health. It’s such comfort knowing you have a caring and compassionate health care professional on your side can make all the difference. Make an appointment at Café of Life Chiropractic in Longmont today! Café of Life has a mission. We strive to teach principles of life, health, healing, and wellness inherent to chiropractic philosophy. We want to promote optimal spinal health to each individual with all of your unique and specific needs. Back pain has become so common today that most people don’t realize they need care until it’s too late and they’re already in pain–or have been living in pain for some time. Back pain is not something to endure and your Longmont chiropractor wants to help! The human back is composed of muscles, ligaments, tendons, discs and bones which make it a highly complex structure. Back pain is associated with the way all of these components work together. An accident, an illness, pregnancy, or just the typical modern lifestyle of hours hunched over technology can all lead to back misalignment. Sometimes back pain can be the last sign your body manifests when an underlying problem begins. Maintaining proper spinal health is critical to keeping your back strong, agile and free from pain. Back pain can range from a dull, constant ache that can even radiate and lasts hours to days or longer. Sharp, localized pain, or acute back pain, comes on more suddenly. Any back pain that lasts for more than three months is considered chronic. Stop back pain from ever rearing its ugly head with preventative chiropractic care with Dr. Jessica Thompson. And if you already suffer from any form of back pain, please give Café of Life in Longmont a call and start feeling relief today. Dr. Thompson is skilled at both manual and instrument adjustments and employs a thorough examination technique to assess the spine and formulate the corrective chiropractic need. She ensures an accurate diagnosis and treatment plan that will lead to optimal spinal maintenance and health. She remains current on the latest and best health and chiropractic information, uses state of the art rehab equipment, and treats the entire person through a holistic approach to spinal health. Don’t wait until you’re in pain to decide to see a Longmont chiropractor! Let Café of Life be your family chiropractic wellness care provider and promote a healthy future for all.